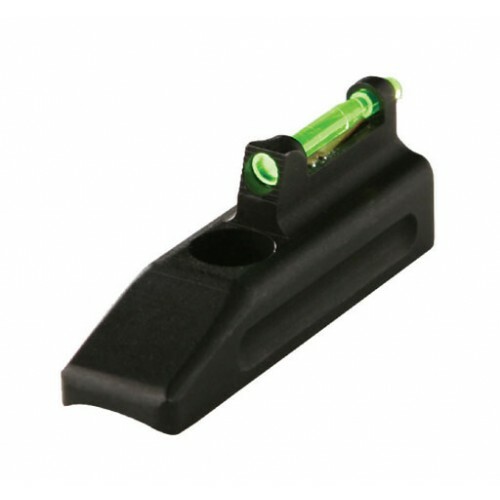 This is an interchangeable style Ruger MK II and Ruger MK III front sight from HIVIZ. Included are six LitePipes, in various colours, a carrying case, and a key to interchange the LitePipes. It fits all Ruger MK II and III heavy barrel guns, including the 22/45, with an adjustable rear sight. It will also fit Ruger Single Six revolvers, with adjustable rear sights, and Browning Buck Mark pistols with bull barrels, and single screw front sights.